Nirvikar Singh holds the Sarbjit Singh Aurora Chair of Sikh and Punjabi Studies at UCSC. He also directs the Business Management Economics Program and the UCSC South Asian Studies Initiative. He is a member of the Advisory Group to the Finance Minister of India on G-20 matters. He has previously served as Director of the Santa Cruz Center for International Economics, Co-Director of the Center for Global, International and Regional Studies, Special Advisor to the Chancellor (all at UCSC), and Consultant to the Chief Economic Adviser, Ministry of Finance, Government of India. He organized one of the first major US conferences on Indian economic reform. He received his PhD from the University of California, Berkeley, and his BSc and MSc from the London School of Economics, where he was awarded the Allyn Young Prize, Gonner Prize and Ely Devons Prize. 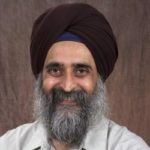 Professor Singh’s current research topics include entrepreneurship, information technology and development, electronic commerce, business strategy, political economy, federalism, economic growth and the Indian economy. He has authored over 100 research papers and co-authored three books: Joint Ventures, International Investment and Technology Transfer; The Political Economy of Federalism in India; and Waiting to Connect: India IT Revolution Bypasses the Domestic Industry. He has also served as an advisor for several startups and knowledge services firms in Silicon Valley and in India. The GST: Light at the end of the tunnel?